Occasionally, I will re-post an article from the Old Grey Lady or some other reputable source. Today, I would like to share three articles. The first is by a Princeton professor--not Krugman or his colleague in the econ dept., Alan Kreuger, but a politics prof named Aaron Friedberg. It is entitled China's Challenge at Sea. It is short and insightful. The Atlantic's feature articles are never short, but almost always of stunning caliber. I would like to recommend the most recent installment by James Fallows, Arab Spring, Chinese Winter, which is as inciting as it is insightful. Finally, I would like to recommend a month old op-ed from the New York Times by Admiral Mike Mullen, entitled A Step Toward Trust with China. As I wrote the first part of this, I was sitting in a teacher's room looking out at a quadrangle with three thousand students "doing exercises" to marshal music. This is the third best high school in China and the students are marching like soldiers during their twenty minutes of free time, but none of them know the name of this piece of music that they hear everyday. Natural curiosity is nearly non-existent among these over-tired students. I woke the other morning to the sound of drilling students in the courtyard of Changchun Institute of Technology. Basic training is required of all 18 year-old males in China. Enlisted military service (士兵役): 12 months of active duty enlisted military service in one of the four branches of the ROC Armed Forces. Alternative service (替代役): 12 months of public safety or community service related work under the MOI, usually in the police, fire department, public clinics, local government offices, or as teachers in rural areas. Various billets are available only to draftees with related qualifications. National defense service (國防役): Available to draftees with advanced degrees, particularly in the sciences and engineering, who upon selection, receive 3 months of officer training culminating in a commission as an officer in the reserves, followed by four years of employment in a government or academic research institution such as the Academia Sinica or Industrial Technology Research Institute. If I ask my students here whether China is a super-power they invariably say that it will be, but is not yet because it hasn't the military prowess. That is changing quickly. 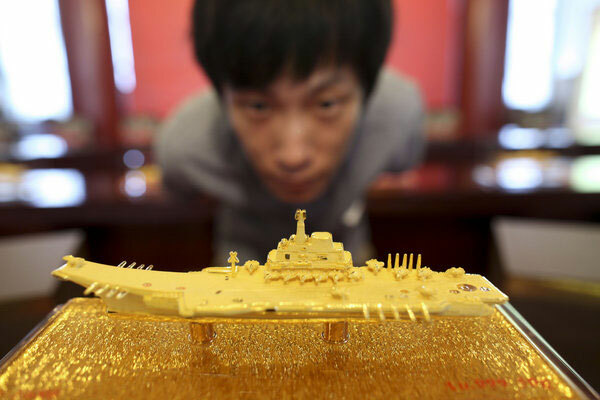 Just this week, China announced that it plans to have three aircraft carriers at sea by 2030. England, France and Russia each have one. The United States has a dozen on active duty. Boy George, Why I am Not Going to Australia, etc. "It's my birthday too, yeah"